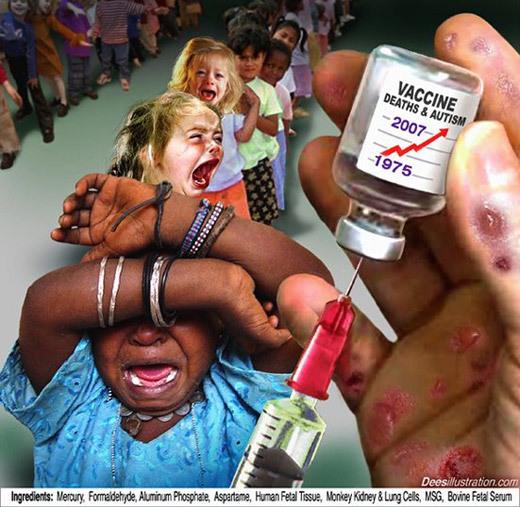 According to the Centers for Disease Control and Prevention (CDC), “Immunity to a disease is achieved through the presence of antibodies to that disease in a person’s system.” This, in fact, is the main justification for using vaccines to “boost” immunity, and a primary focus of vaccine research and development. Published in the journal Immunity in March, 2011, and titled, “B cell maintenance of subcapsular sinus macrophages protects against a fatal viral infection independent of adaptive immunity,” researchers found that mice infected with vesicular stomatitis virus (VSV) can suffer fatal invasion of their central nervous system even in the presence of high concentrations of “neutralizing” antibodies against VSV. The discovery that antibodies are not required for protection against infection, while counterintuitive, is not novel. In fact, not only are antibodies not required for immunity, in some cases high levels are found in the presence of active, even lethal infections. For example, high serum levels of antibodies against tetanus have been observed failing to confer protection against the disease. A report from 1992 published in the journal Neurology found severe tetanus in immunized patients with high anti-tetanus titers, one of whom died as a result of the infection. These research findings run diametrically opposed to currently held beliefs regarding the process by which we develop immunity against infectious challenges. Presently, it is a commonly held view that during viral infections, innate immunity must activate adaptive responses in order to achieve effective immunity. It is believed that this is why the immune system has developed a series of innate defenses, including complement, type I interferon, and other “stopgap measures,” which work immediately to lower pathogen burden and “buy time” for the much slower adaptive immune response to develop. Indeed, in vaccinology, which is the science or method of vaccine development, vaccine effectiveness is often determined by the ability of a vaccine to increase antibody titers, even if this does not translate into real-world effectiveness, i.e. antibody-antigen matching. In fact, regulatory agencies, such as the FDA, often approve vaccines based on their ability to raise antibody titers, also known as “vaccine efficacy,” without requiring proof of vaccine effectiveness, as would seem logical. The obvious problem with these criteria is that the use of vaccine adjuvants like mercury, aluminum hydroxide, mineral oil, etc. – all of which are intrinsically toxic substances — will increase antibody titers, without guaranteeing they will neutralize the targeted antigen, i.e. antibody-antigen affinity. To the contrary, many of these antibodies lack selectivity, and target self-structures, resulting in the loss of self-tolerance, i.e. autoimmunity. Introducing foreign pathogenic DNA, chemicals, metals, preservatives, etc., into the body through a syringe will generate a response not unlike kicking a beehive. The harder you kick that beehive, the greater will be the “efficacy” (i.e. elevated antibodies), but the actual affinity that these antibodies will have for the antigen (i.e. pathogen) of concern is in no way ensured; to the contrary, the immune response is likely to become misdirected, or disproportionate to the threat. Also, valuable immune resources are wasted by generating “false flag” responses to threats which may not readily exist in the environment, e.g. there are over 200 forms of influenza A, B & C which can cause the symptoms associated with annual influenza A,* so the seasonal trivalent flu vaccine only takes care of little more than 1% of the possible vectors of infection – and often at the price of distracting resources away from real threats, as well as exhausting and/or damaging the entire immune apparatus. Just because you give somebody a vaccine, and perhaps get an antibody reaction, doesn’t mean a thing. The only true antibodies, of course, are those you get naturally. What we’re doing [when we inject vaccines] is interfering with a very delicate mechanism that does its own thing. If nutrition is correct, it does it in the right way. Now if you insult a person in this way and try to trigger off something that nature looks after, you’re asking for all sorts of trouble, and we don’t believe it works.”- Glen Dettman Ph.D, interviewed by Jay Patrick, and quoted in “The Great American Deception,” Let’s Live, December 1976, p. 57.